The cost of tools and test equipment has largely been on the downward trend for years, making it now more affordable than ever to get into the hacking and making scene. This is particularly visible with something like the venerable oscilloscope: a piece of equipment that was near unobtainium for the home hacker a decade ago, you can now get digital pocket scope for as little as $20 USD. But there are still pieces of gear which haven’t quite hit the sort of prices we’d like to see. A perfect example are thermal imaging cameras. The cheap ones are usually so low resolution they might as well just be thermometers, but the higher resolution ones can cost thousands. [Rob Scott] recently wrote in to tell us about a very promising middle ground, the HTI HT-A1. But he didn’t just point it out to us, he also tore it down and laid its internal’s bare for our entertainment. Now that’s our kind of introduction. [Rob] walks us through the disassembly of the device, which is made unnecessarily difficult due to the fact that half the screws are hidden under a glued on screen bezel. That means a heat gun, a thin tool, and patience are in order if you want to get inside the device. It’s bad enough they use these kinds of construction techniques on modern smartphones, but at least they’re so thin that we can understand the reasoning. Why this chunky thing needs to resort to such measures is beyond us. Eventually he cracks the HT-A1 open and is greeted with a single double-sided PCB. The top side is pretty much bare except for the buttons and the LCD display, and the flip side is largely just a breakout for a quad-core Allwinner A33 daughterboard. [Rob] theorizes this is to keep costs down by allowing reuse of the modular A33 board on other devices. Given the A33’s use in so many cheap tablets, it’s also possible HTI simply purchased these daughterboards as a drop-in component and designed their own board around it. There’s not much else inside the HT-A1 beyond the rechargeable battery pack and thermal camera, both attached to the device’s rear panel. [Rob] noticed that the date on the thermal camera PCB is a full two years older than the date on the main PCB, leading one to wonder if HTI might have gotten a good deal on a bunch of these slightly outdated sensors and spun up a whole device around them. The HT-A1 is high enough resolution that you can actually pick out individual components on a PCB, and at $400 USD is approaching a reasonable price point for the individual hacker. Which is not to say it’s cheap, but at least you get a useful tool for your money. We wouldn’t suggest you buy this device on a whim, but if you do a lot of diagnostic work, it might pay for itself after a couple repairs. If that’s still a little too rich for your blood, we’ve covered a handful of DIY options which might better fit your budget. They allready do so as far as I know, mostly by enforcing a frame limit on the thermal camera (9fps) in their firmware. This is also why the CAT S60 with FLIR thermal camera has a low refresh rate. It has something to do with shipping from the USA to ‘foreign’ countries and military restrictions. Who are you talking [writing] to? I spent a couple of minutes looking for a viable comment below, and noticed that he was the first comment. I felt so dumb all of a sudden. Sorry, must have been a deleted troll post. Save your time and don’t bother replying the trolls. When we go through and delete the parent comment, it takes all the children with it. So just hit “report comment”. If you’ve got something substantive to say, start up a new comment thread. I’m an expert on thermal camera teardown videos. as such, I wholeheartedly recommend the 6 teardown (youtube) vids by mikeselectricstuff and EEVBlog. models included: FLIR ETS320, FLIR FireFlir FF110, FLIR ONE, FLIR E4, and the Seek camera (add-on for phones/tablets). These cheap bolometers are good for very few things any more. Maybe monitoring heat leakage in a house or wiring? The really good bolometers with NEDT under 20mk are used in Military, Industrial, Scientific R&D. By the way, they could cost $25-40K per sensor. 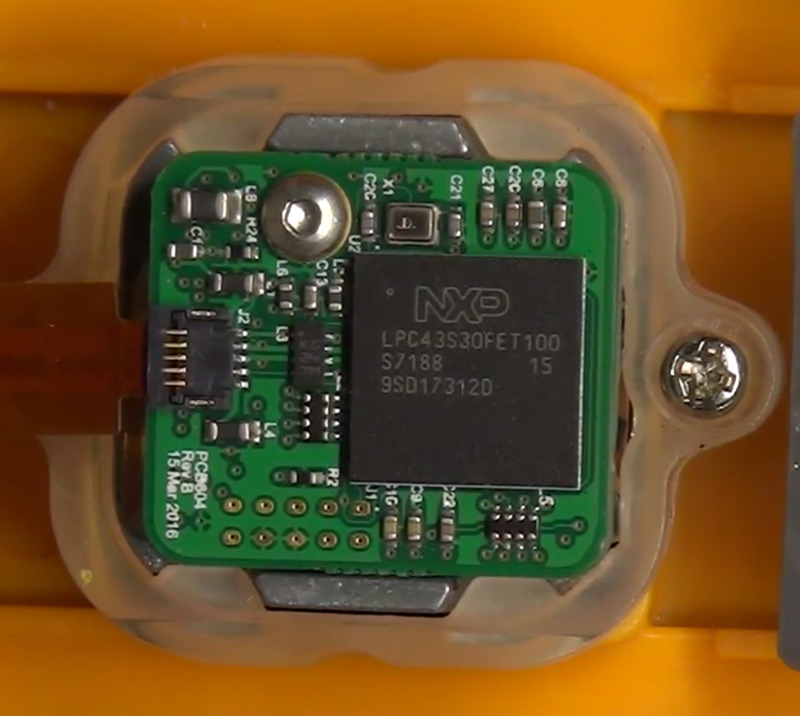 SWIR about the same price, MWIR sensors a little more. That would be an uncooled amorphous silicon microbolometer. Although TLVs may bring cost down. There’s also QWIPs or 2TSL. MWIR is expensive because it needs to be cooled, usually with a stirling cycle chiller. I have some FLIR units that take about 7 minutes to cool down before they are usable, they were intended for military binoculars that sold around the $70k price point. They used and additional LWIR camera which could be used while the camera was cooling and then could mix the images between the two since the sensor in the cooled section is 640×480. the rapidly lower cost is worrying to me, thermal cameras among having many legitimate uses, are also being used extensively by Colombian narco traffickers to detect border guards and troop positions. This is undoubtedly responsible for the recent rise in heroin use in america and a grave threat to humanity as a whole. What’s more is that as gangs and druglords rack up the profits, they invent novel techniques for smuggling and evasion. One notable example from a notoriously powerful Colombian gang involved using dogs to smuggle heroin. And yes, they were puppies. I highlight this example to point out an often forgotten fact. Most so-called “druglords” are auctually working for united states in some form or fashion to catch the “kingpin”. Colombians are well aware of this fact and can usually spot a “gringo” when they see one. However, and this is crucial to understanding the drug related violence in Colombia, both the Colombian government and the “kingpins” themselves tolerate the existence of the “gringos” because it’s the only way for Colombia to have an officially licenced McDonald’s. A favorite among locals, but also an interesting side effect of globalization. After all, it was the famous Milton Friedman that noted, “No two countries that had McDonald’s restaurants would go to war”. And given America’s history of intervention in Latin america this theory makes alot of sense. I’ve heard rumours that cars are also used for drug trafficking. And buttholes. They should be cauterized at birth! Oh what the hell ever. We have guns all over the place, those are used by drug lords. So are phones. So are boats. So are aircraft. So are computers. Should all of those also therefore be outrageously overpriced? What a silly reason to prohibit a technology like thermal cameras. Thermal cameras are stupidly expensive for what they are; I hope the price drops to something reasonable as quickly as possible. If there are security or military restrictions holding that back then it’s the dumbest thing ever. As if a few grand on the price tag would keep it out of the hands of evil narcos or whatever boogyman you want to choose. If we wanna stop drug violence and reduce the damages of addiction, decriminalize all drugs. It’s the simplest thing in the world. Drug prohibition was started in the first place to provide a convenient cause to arrest anti-war protestors–it was never about public safety or the greater good. I see that you don’t treat puppies and IR cameras equally although you point out that both of them serve the same purpose. I would not say the cost of a LWIR sensor has rapidly dropped in price. LWIR, especially VOx, have been around for many years. Finally volume is starting bring prices down. I thought the main reason for the recent rise in heroin use in America is the loose prescription practice for opioid pain killers, perhaps combined with a lack of social security/health insurance so many people can not afford proper medical treatment and have to resort to relatively cheap painkillers despite their danger of dependency. My partners are testing Silicon Nitride & Black Silicon in a 2048 linear or line scan sensor for the time being. Images are not possible yet, these are just engineering prototypes.I should have specs soon though. Yes MWIR are silly expensive and must be cooled yet. There are SWIR & LWIR sensors that still need cooling. I worked on a military binocular that used an RGB/NIR/NIR prism array. We used TI285’s, which are not manufactured any more. The TI285’s were EMCCD’s. The binoculars could do full color in the lowest of light levels without illunination. There are cameras based on this design on several military vehicles today. There have been a lot of companies trying to reduce costs in alternative manufacturing processes over my last 18 years in photonics. There have been many failures. A thermal sensor only 206×156 is pretty useless in today’s military, industrial, scientific markets. Because this uses a common SOC, would it be possible to run android or linux (if it isn’t already) on it? If this module were placed in a waterproof box, and set up on a p2p network, this would be a really cool gamecam! I’d wager it’s already running Linux (could be Android but just really stripped down), and the firmware’s already all on the eMMC so it’s not too hard to gain access to. For $200 i bought a FLIR One (2nd gen) camera with the same resolution… uses the phone as screen. The Flir 1 is not very good. It is a consumer product, fun to play around with. The mainboard looks like a generic tablet-ish pcb. As author had some troible identifying parts: A33 a quad core arm chip nearly fully supporten bij linux, sandisk chip is indeed eMMC for os and data storage, sk hynix is not a buffer or rom cbip, simple ddr ram, likely 512mb, and the last chip is an AXP (allwinner X powers i belive) power managment IC, makin sure everything is juiced up and charged. USB goes over the A33’s OTG port, which means it should be possible to trigger USB programming ‘FEL’ mode (holding the power button down for extended period or something with the right cable attached). The seek module is probably connected through SPI (or maybe even usb, as it is a seek phone module likelun. While we’d ideallly also want to hack the lpc firmware, the mainboard should be trivial to rhn custom software on, but is only a viewwer really. With allwi ner only really supporting Android sdk’s/kernel’s chances are very big it is android that this thing is running.